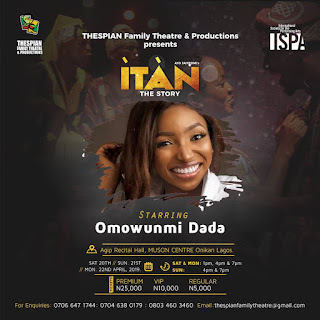 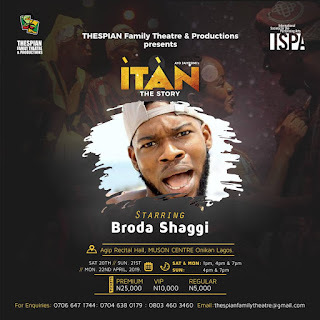 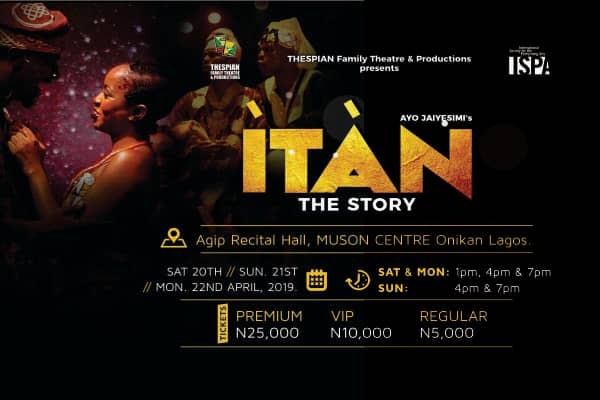 Theatre drama lovers should be geared up to having a splendid time this weekend as Thespian Family Theatre & Productions is all set to thrill audiences with Ayo Jaiyesimi’s ITAN – The story. "The play, ITAN, is an epic narration of trans-generational disparities featuring interesting twists towards a smooth transition between eras. With time personified, the story has been carefully weaved to take the audience on a creative ride from the past to the present and emerging future," Mrs Ayo Jaiyesimi said.